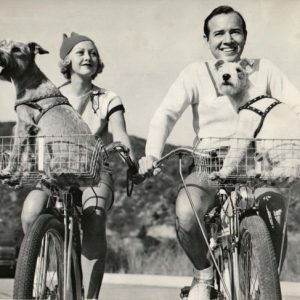 Evelyn Knapp and Earl Blackwell – and terriers – ride bikes. 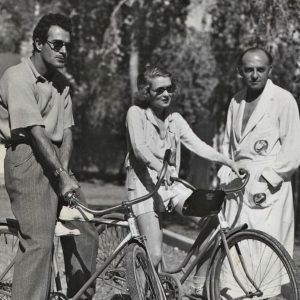 Gilbert Roland and Constance Bennett ride bikes. Harry Cohn, “genial president of Columbia Pictures,” rides a bathrobe. 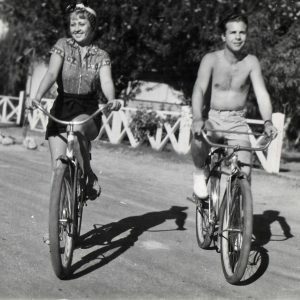 On the grounds of the Desert Inn, Palm Springs, November, 1933.